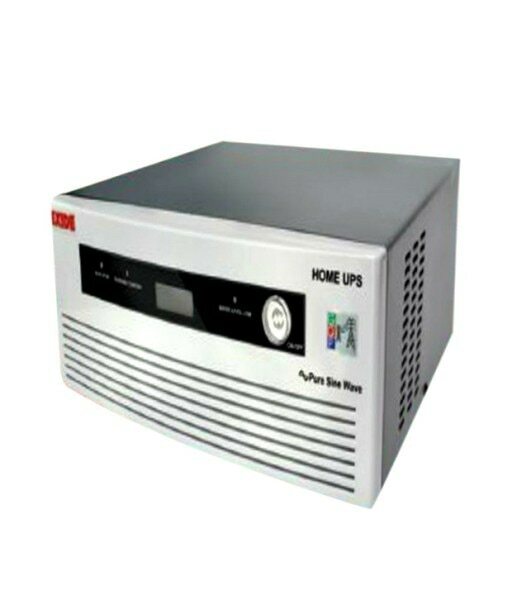 DESCRIPTION OF EXIDE EX850VA HOME UPS INVERTERS DSP (Digital Signal Processor) based Sine Wave Home UPS – A high speed microprocessor for Grid Quality Power same as Mains ASIC (Auto Sense Intelligent Control) Technology-Automatically sense the battery condition and adjust the charging current accordingly and thus increases battery life and minimizes water topping. Exceptional Features of EXIDE Inverter LCD display shows actual connected load in Percentage. LCD display shows AC mains Input voltage to monitor low and high voltage. Additional protection to Circuit Board Charging Technology Boost Level Charging: Batteries are charged at maximum allowed continuous constant charging current till it achieves the battery boost voltage level or up to the automatic battery level set by control unit itself. The control unit checks the battery level at specified interval of time. When the level stops increasing it locks that battery as level as a Boost level and maintain this for the four months. It recycles the same process of battery level sensing in four month cycle. Trickle Level Charging: To maintain the float level, the charger uses zero current at trickle charging voltage for some times and follow again with pulse charging of <1AMP current at the same voltage. This keeps the battery in full charge condition even when not in use.